Please Support OLMC Feast and Parish! The monies raised at the annual feast are needed to keep the doors of our church open and fund our many programs in support of the Catholic community in Williamsburg, Brooklyn. We cannot survive without the financial support of the feast. Please help us keep our traditions of the feast and our parish alive! Gifts starting at $250 will enlist you in our Century Club where you can dedicate a plaque in memory or honor of a loved one, or even to promote your business. 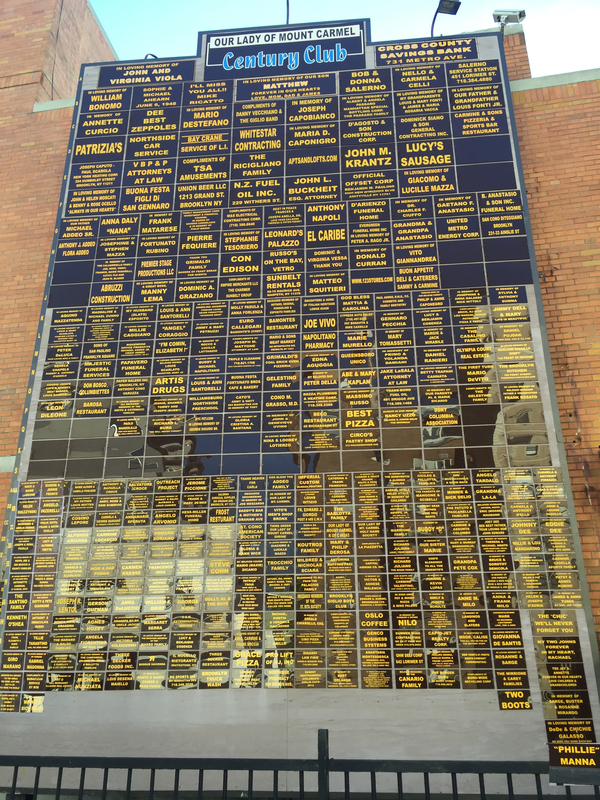 The plaques appear on the Century Board, visible during the feast and throughout the whole year in front of our Church grounds.